We'll admit it, we are major fans of tables, in all shapes and sizes. The world of tables includes a variety of incredible and modern elements that are so different and daring that we might want to change our tables weekly. 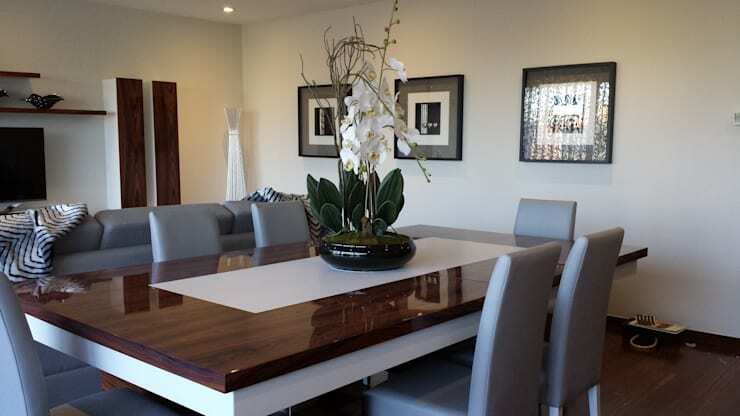 Tables are undoubtedly the most important piece of furniture in the dining room. On one hand, it's the place where we enjoy our daily meals but our tables are also a crucial decorative element. With such a wide range of shapes, styles and materials available, there is an ideal table for everyone but you just have to know what to look for. This article will ensure you gain a better idea of what exists in the market today and hopefully make what can be a confusing decision that little bit easier! 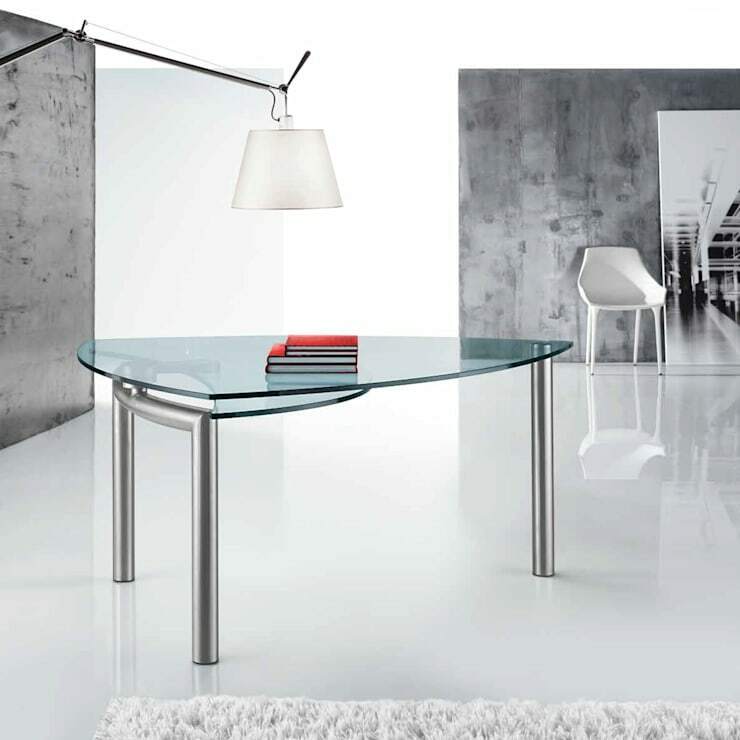 Glass tables are another fascinating choice for us. And on a decorative level, we believe it is a great choice, especially when we look at a type that has will match a simple or minimalist decor. The great advantage of the glass-topped tables is that it emphasizes its surroundings, there is therefore a sense of wider and better ventilated space. In the example we can see that chairs are worth being seen, making the glass use is almost essential! Gone are the days when table tops were square, round or rectangular. The shapes and forms now are brilliantly irregular and modern. The example in the image is also imaginative as it merges two thoughts, one regarding the shape and the other a different type of support. This is a modern option that creates a very interesting dynamic and reveals non-compliance, making us think that this top does not belong there and doesn't belong to the other side either. 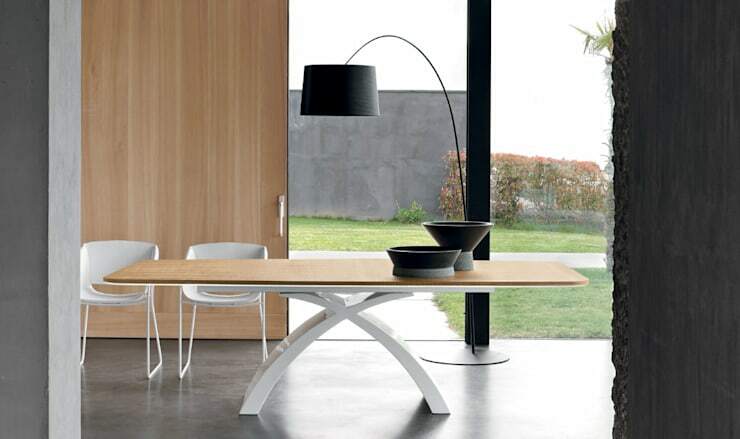 Deep down this table is constituted as a contemporary approach to the world of tables and it could not please us more! For this and more from Reflex have a look at this professional profile! Marble is a material that delights many, but for us we have to confess that we are great apologists of this material and have to explain why. The first and major reason of our delight regarding marble tables is the unique elegance of this material. Whatever the surface, using marble guarantees a certainty that the space will have a unique magic. The table that included in the example shows us a true idea of what we like in particular and it is not only the top, the whole table is simply wonderful! 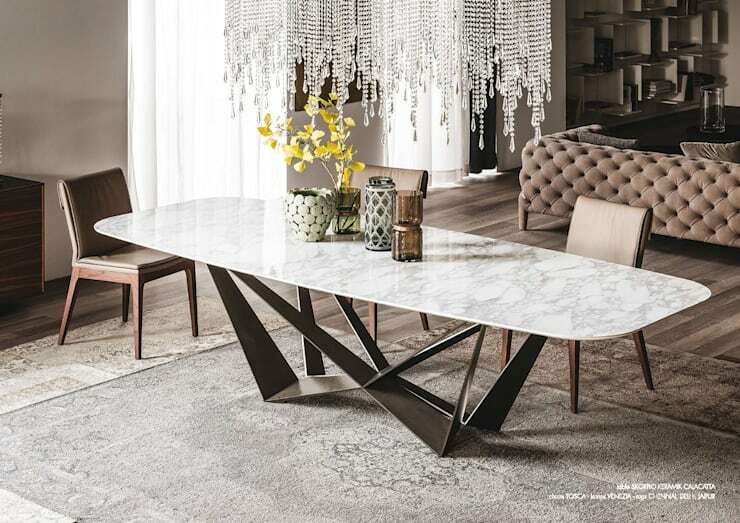 With a structure in iron and a large single stone – we do not want to imagine what the total weight of this table will be, but table and marble not only bode well as far the weight is concerned—it is certainly the centre of attention of the room. Rest assured that if you have this table in your home, it will have a prominent place. Wooden tables are one of those classics that never fails—we are talking about wood which is so right that it's hard to go wrong thing!—A table such as this is really beautiful and showy and it is necessary that the wood is made from good quality and most importantly beautiful wood. 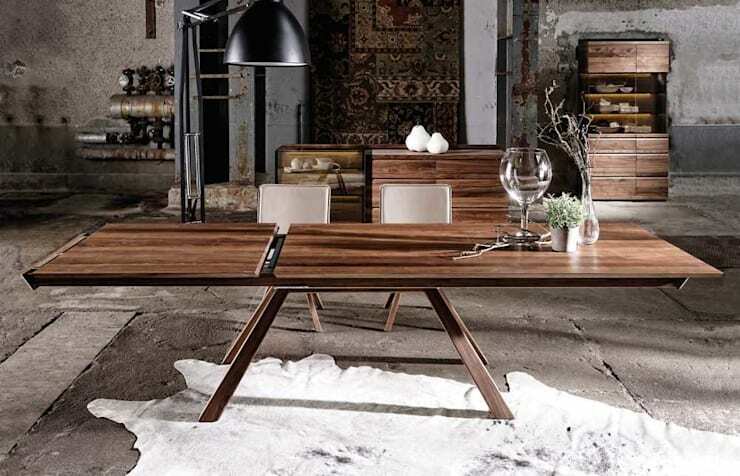 If these two conditions are achieved, the table will certainly be irresistible and be the envy of any home! In this particular example, we wanted to draw attention to one more detail, the fact that the table can be extended, making it an asset in many situations. Synthetic tables are very easy to find and at a good price, this is at once a point that very many home decorators on a budget are in favour of. But there's more… because it is a material that works very well and can be obtained in very appealing examples, such as the table we see in the image where modernity is the style. We still want to choose a type of design that like it, even if it is not exactly what we want. Another advantage, has to do with the lightness of the material that allows us to pick up the tables and carry them with ease. Playing with colour can also be something interesting to do with the top of your dining table. The decorative element is certainly dynamic and well. And to think a little about it, there is nothing better than looking at this example we have chosen for you. 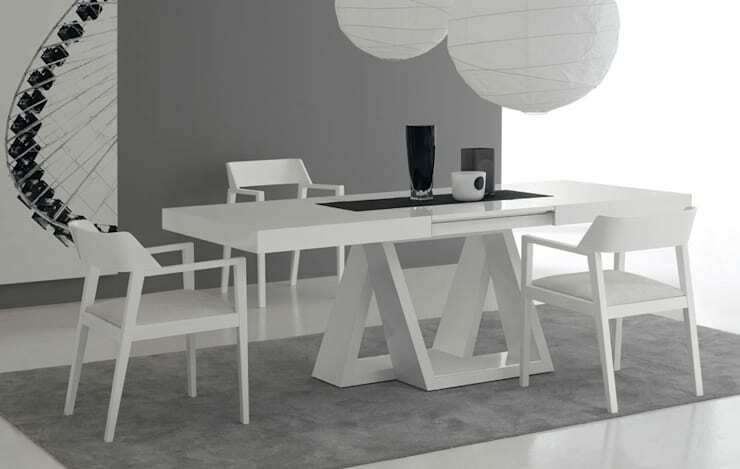 In varnished wood and white acrylic, this table top has extremely good quality. It is simply decorated, but with a touch of class and a floral arrangement – it is in our view simply sublime—good taste is felt here immediately. And is a great example of everything that is pleasing! Throughout this article we were always talking about the coffee table that is dedicated to this last paragraph that perfectly illustrates how a coffee table can be a decisive in mobile design. A white support holds a wooden top and the truth is that both pieces seem to have been placed there at random. What do you think of this? Is it a fantastic combination? Good taste and great ideas always lead to good results! 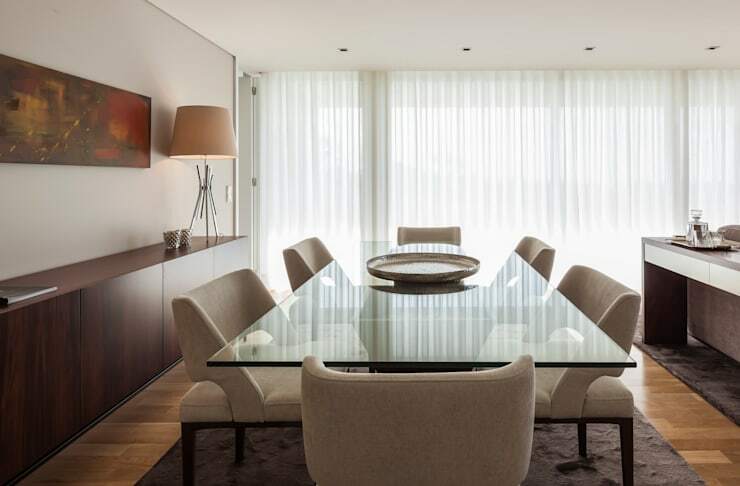 Complete your entire dining room décor with these: Dazzling Lighting Ideas For Modern Homes. Which dining table top is your favourite? Share your thoughts with us in the comments!